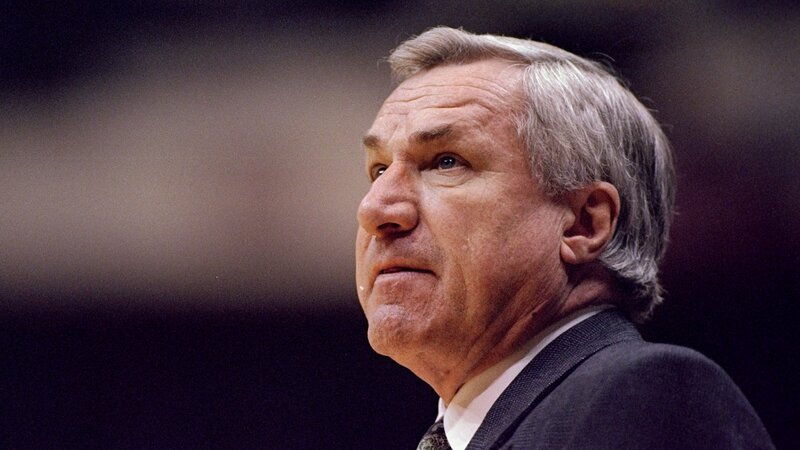 Coach Dean Smith was a father figure for nearly forty years. He was a coach who was more than a coach. He was a father figure larger than life. I remember going to University of Maryland Basketball games in the ‘80’s at Cole Field House and losing my voice cheering for my Terps and cheering against the Tar Heels and “El Deano” as he matched wits with Lefty Driesell . Those were the days. Dean Edwards Smith was originally from Emporia, Kansas, Smith and was called a “coaching legend” by the Basketball Hall of Fame. Smith was best known for his 36-year coaching tenure at the University of North Carolina at Chapel Hill. Smith coached from 1961 to 1997 and retired with 879 victories, which was the NCAA Division I men’s basketball record at that time. Smith’s North Carolina teams won two national championships and appeared in 11 Final Fours. Not too shabby. But more importantly, Coach Smith taught and trained his star players to be standout citizens. It is said that Dean was a better person than he was a coach. That should say it all. “The Dean,” as he was affectionately called, coached a bastion of basketball greats such as Larry Brown, James Worthy, Sam Perkins, Phil Ford, Bob McAdoo, Billy Cunningham, Kenny Smith, Walter Davis, Jerry Stackhouse, Antawn Jamison, Rick Fox, Vince Carter, Scott Williams, Rasheed Wallace, and of course, Michael Jordan. To a man, friends and foes alike all had nothing but praise for the man who forever changed the face of college ball. While he was modest and moderate, his impact on the game of baseball and on the “game” of life for hundreds, yea even thousands of college basketball players, cannot be measured. His import cannot be massed. His impression will ever be missed and his influence will forever be magnified. The tie-in is clear: we need fathers to “father” us. Mothers can’t do the things that fathers must do, and that is to provide a firm had and sure arm for their children. And our Heavenly Father is our eternal example of what a loving father is. Those “things” that fathers must do includes giving and forgiving and correcting and consoling, just to name a few. And so hail to Dean Smith. And hail to all those fathers who are diligently doing their daddy duties. And oh that we had more fathers and father figures who would stay the course like Daddy Dean did.